Please take us through the journey of Testo in India. Testo SE & Co KGaA, is a world leader in design, development and manufacturing of electronic portable test and measuring instruments. Backed by 60 years of measurement engineering experience, Testo as a group is headquartered in Lenzkirch, Germany. Established in 2006, Testo India Pvt Ltd is a 100% subsidiary of Testo SE & Co KGaA. 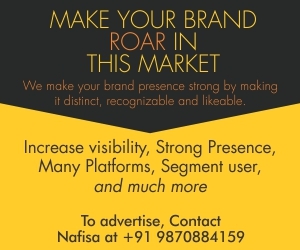 With new products and innovations getting added to the basket year after year, extending our reach throughout the nation, increasing our support and services in every aspect we gained incredible acknowledgement from the Indian market as well. We have shown phenomenal growth over the last 11 years. With our head office in Pune and PAN India sales and channel partner network, Testo India now enjoys a prominent position in Test & Measurement industry. We have an established state-of-the-art service & calibration lab located at Pune that is accredited by Germany. We have been, therefore, providing not just sales but also after-sales services to industries ranging from food & pharma to cement & steel, HVACR among others. What are the trends in current HVAC&R market? How would you envisage the growth with particular emphasis on energy efficiency and sustainability in global markets? As we see the latest trends and technologies that we are witnessing are coming from the digitization of the existing systems. The traditional methods and processes are now getting replaced with smart solutions & we believe in keeping pace with the new advancements prevailing around. 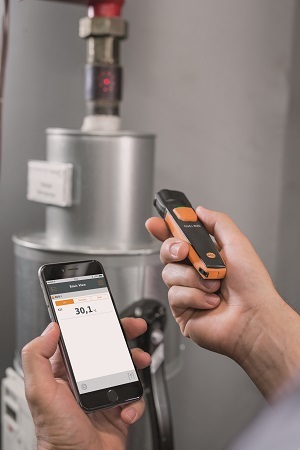 Thus, our new product range for instance, the air capture hood testo 420 and the new range of Smart Probes equip the users with smart and easy measurement techniques using the smartphone interface. Our latest solution to the industry is new range of Thermal Imagers with smartphone integration designed to deliver networked thermography. Their wireless operation, with the ease of saving & transferring data over networks, make our instruments more user-friendly and cost effective. Also, our products are in compliance with the environmental standards focusing on the energy efficiency and conservation. Our solutions for preventive maintenance, air quality measurement, gas/emission analysis, facility management etc can ensure our emphasis on energy efficiency & sustainability. What kind of technological innovations would you like to incorporate in your products considering rising global temperature? Testo is very much aware of the changes in the environment and our focus has always been to share a solution which is not only advanced but are also in-line with the necessary environmental norms and specifications. We are extending our range of HVAC/R tools keeping in mind these changes. It is owing to the environmental changes that HVAC/R is gaining more importance and its efficiency management even more! What are the products offered by the company and in particular catering to Indian markets? 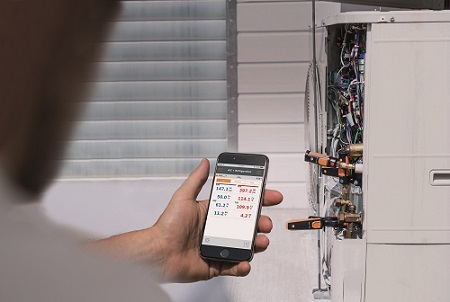 With so much vibrancy in the industry, Testo brings out its latest and the smartest solution for the HVAC sector. An entire range of smart measuring instruments called as the Smart Probes are unique in the measurement system. These are small and compact instruments with higher accuracy and are available in special sets for HVACR contractors. 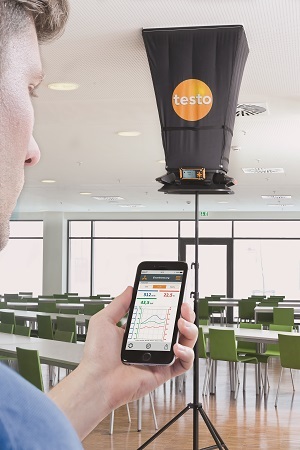 Testo 420, a new innovation for measuring the air volume flow has made the measurements easier even at the turbulent inlets/outlets. These pro measuring instruments can be intuitively operated by smart phone via a free App. Testo has a range of electronic refrigeration manifolds/analyzers that not only help to measure pressure but also calculate accurately the sub-cooling and superheating temperatures, based on the refrigerants selected. In addition to electronic refrigeration manifolds, Testo also has digital vacuum measuring instrument like testo 552 for the evacuation of refrigeration/air conditioning systems and heat pumps. What is the USP of your products? Do you have R&D activities in India in order to give better quality of the products? Our products are for sure best in class when it comes to the technology, features and superior design. We claim to provide our users, the experience of a smart world of measurement. About USPs, our products are smart, intuitive, user friendly, advanced and precise. Most of them could be governed even via a smart phone or tabs. Data transfer, report storage and sharing can be done on site. You can inspect and check the status of any desired set up from anywhere and in case of any ambiguity you even receive alerts via mail and message. Reduced human involvement is assured with our products which ultimately improves accuracy, reduces downtime of facilities and reduces errors, which is almost everything you seek. We actually have our manufacturing in Germany and thus, the R&D is taken care at the HQ. But in India, we also do offer certified calibration according to all valid guidelines. The calibrations take place at Testo’s own accredited high-tech laboratory at our facility in Pune so that the instruments can be calibrated & serviced locally maintaining international standards. How would you differentiate Indian HVAC&R markets from the Global markets, particularly, European and American markets while offering your services and products? Do you face any competition in Indian markets? European market is certainly way different to our Indian market. Heating, for example, forms a major part of the HVAC&R market due to the cold weather conditions prevailing there. In India, heating needs are almost close to nil. The demand for VAC & R efficiency monitoring and management is at its peak during the summer season. 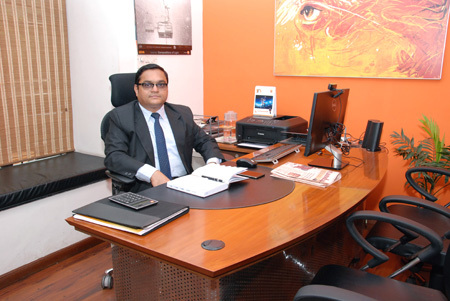 Facility Management too is becoming an important market owing to the spurt of huge IT buildings, malls, hospitals etc. The concept of green building too is taking strong footing in the Indian market. What are the growth drivers of your products in India? The most important factor that can really drive our industry is the policies of the government. Testo India caters its services to a wide range of sectors beginning from general industries to food, pharma & HVAC. It is very necessary to have stringent norms & guidelines in these sectors to improve efficiency and quality as well. Our products are designed with special features that comply with standard norms which are actually very vital for safety and health purposes. Another aspect that can be really helpful would be the awareness of the user about the importance and advantages of these policies and guidelines as it will encourage them to select Testo as their partner. How competitive and technologically superior are your products as compared to your peers? How strong is your after sales service network? All we can say is that they are more purposeful, distinct and with unique features. Our smart probes are one stop solution for the entire HVACR industry. They are small, user friendly, easy to carry, and considering how advanced they are they come at a very convincing price as well. If you talk about the technology, our products are definitely a step ahead both in terms of the measurement range and precision obtained with them. As far as the post sales service is concerned, already mentioned, we have a certified testing and calibration lab that in association with our sales team are always on their toes to provide necessary service and correct solution to our clients even after sales. What are your expansion plans in India? What potential do you foresee for your company with the Indian Government’s focus on development of infrastructure like smart cities, urban transportation projects? India is termed as an emerging market and the numbers are only growing. In a very short span of time from its inception, Testo India grew from a small-sized subsidiary to a mid-sized one and is on its way ahead further to increase its sales turnover exponentially. We plan to launch several new products & extend our arms to all possible regions, industries and applications in the upcoming years. Now when the government has also become so focused on the upcoming concepts like smart cities, the testing & measurement industry is sure to see a great future ahead as the applications are going to increase and so are the solutions required. And we hope to offer many technologically advanced products which will help Testo touch the new zenith of technology not only in India but also in the surrounding markets of Nepal, Bangladesh and Sri Lanka with its channel partner network.